Explore SAP career opportunities to find a job that's exciting, rewarding, and über flexibel. You'll even get to change the world. You always knew you could have an impact on the world of business. Here’s your opportunity. At SAP, we believe in the power of collaboration across borders and disciplines. Which is why you’ll hit the ground running. Here, you’ll not only work with companies that are literally changing the world—you’ll collaborate with other creative minds, be recognized for your contributions and grow with our best-in-class network and resources. And because we’re a culture that recognizes that big ideas come from anywhere, you’ll have a real chance to see yours become a reality. Get started and find your dream job at SAP! 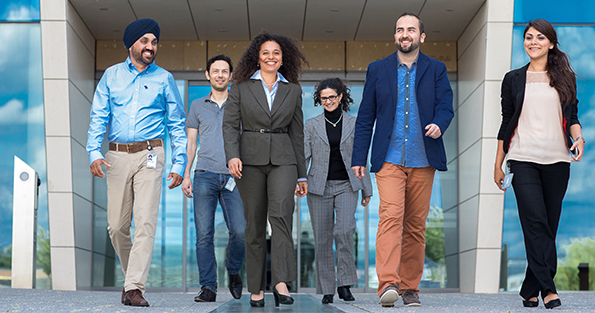 Why work at SAP? Open our infographic. Want to apply but need to know what to expect step-by-step? Have a look at the application process infographic. Got ambitious goals? We'll help you achieve them. Learn how. If you have a technical problem with or a question about the use of this page, please send us an e-mail.